Karma – The Movie to be directed by Vipin Krishnan would come along with lot of specialties. To be called as a Hybrid genre interactive movie, 'Karma' will have 50 climaxes other than some other interesting features. Filled with romance, comedy, horror, suspense and thrilling moments, the cost of the movie is expected to be Rs 2 Crores. The movie is expected to reach theatres in 2019. Experimentation is not a new concept in Indian film industry. Over the past 100 years, there had been a number of innovative approaches in terms of themes, scripts and genres. 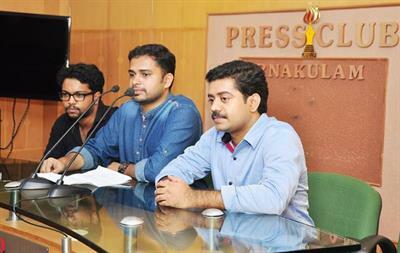 Now a team of youngsters is gearing up for their dream project which comes along with the most interesting idea, a movie with 50 climaxes, to be the first in the world. Titled 'Karma – The Movie', to be directed by Vipin Krishnan is a Hybrid genre interactive feature film which is filled with romance, comedy, horror, suspense and thrilling moments. But the most awe-inspiring fact would be the novel concept of integrating 50 climaxes. The first spark was truly developed from some games which made Vipin to think beyond imagination. The movie is themed around a hero who comes to a strange conurbation where he is a total stranger. As in need of a home, he approaches a broker who shows him three houses. The rest of the story moves along with the support of the audience. The viewers can decide which house the hero chooses. As equipped with voting gadgets, the spectators can choose a house and the majority votes take the story to the next phase. The first house is set in a romantic angle with a girl living in it meanwhile the second home is a haunted one with revulsion and frightful atmosphere. The third home belongs to a gangster which opens way for some thrilling actions. In the next stage, the hero will take decision according to the votes casted by the audience. What makes more interesting is that, the story break into six, 12, 24 parts and so on which finally reach the 50th climax. As the script concept is very special, it will take 2 years for the script works and the movie is expected to reach theatres in 2019. Along with the theatre release, the movie would be available for the internet audience too. The movie which will have duration of 90 minutes would be made with a budget of Rs 2 Crores.